Ghost on Ghost is as dense stylistically as it is lyrically. Why See Iron and Wine? Iron and Wine, aka Sam Beam has been hard at work making folk rock over a decade now, with his work compared to the likes of Simon and Garfunkel, Nick Drake, Elliott Smith, Neil Young and John Fahey. Prior to that, he was a film studies professor, working out of Miami University. His big break first came when his home-recorded track was featured as part of a free CD on the front of Yeti Magazine, courtesy of a friend passing on his tape to the publication. Songs from his eight studio albums have featured on various TV shows and films, including House, Grey's Anatomy and the first Twilight movie - in fact, his song 'Flightless Bird, American Mouth' was hand-picked by the film's star, Kristen Stewart for the end prom scene. 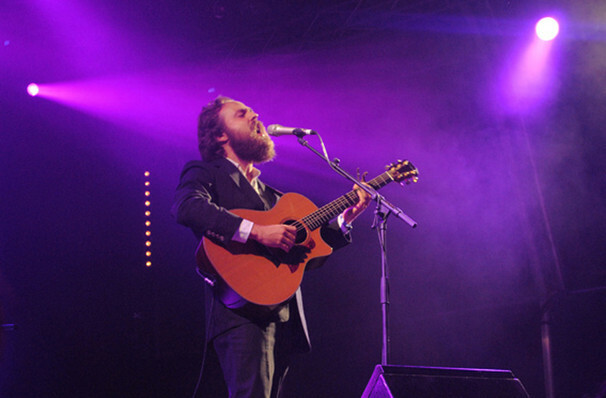 Seen Iron and Wine? Loved it? Hated it? Sound good to you? 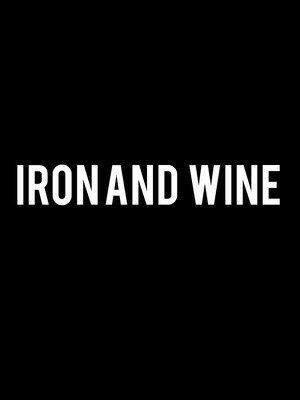 Share this page on social media and let your friends know about Iron and Wine at Southern Theater. Please note: The term Southern Theater and/or Iron and Wine as well as all associated graphics, logos, and/or other trademarks, tradenames or copyrights are the property of the Southern Theater and/or Iron and Wine and are used herein for factual descriptive purposes only. We are in no way associated with or authorized by the Southern Theater and/or Iron and Wine and neither that entity nor any of its affiliates have licensed or endorsed us to sell tickets, goods and or services in conjunction with their events.